This dataset contains poverty estimates at county level based on US Census Bureau program, Small Area Income and Poverty Estimates (SAIPE). The estimates are for counties and states in the United States, for the entire population and for three age groups of population. 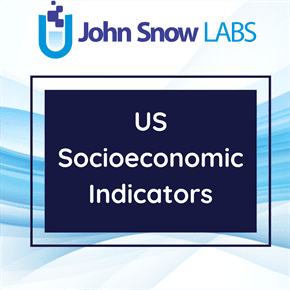 The source of data is represented by The Economic Research Service of The United States Department Of Agriculture which published an enriched version of the dataset originally released by US Census Bureau. The main objective of this program is to provide updated estimates of income and poverty statistics for the administration of federal programs and the allocation of federal funds to local jurisdictions. Estimates for 2015 were released in December 2016. These estimates include the number of children under age 5 in poverty (for states only), the number of related-children aged 5 to 17 in families in poverty, the number of children under age 18 in poverty, and median household income. Due to the comprehensive geographic coverage and one year focus, SAIPE data can be used to analyze geographic variation in poverty and income, as well as changes over time. SAIPE program estimates, for states, counties, and school districts in the United States combine data from administrative records, postcensal population estimates, and the decennial census with direct estimates from the American Community Survey to provide consistent and reliable single-year estimates. These model-based single-year estimates are more reflective of current conditions than multi-year survey estimates. In the enriched version of the dataset was added Rural-Urban Continuum Codes and Urban Influence Codes. The Rural-Urban Continuum Codes form a classification scheme that distinguishes metropolitan counties by the population size of their metro area, and non-metropolitan counties by degree of urbanization and adjacency to a metro area. The official Office of Management and Budget (OMB) metro and non-metro categories have been subdivided into three metro and six non-metro categories. Each county in the US is assigned one of the 9 codes. This scheme allows researchers to break county data into finer residential groups, beyond metro and non-metro, particularly for the analysis of trends in non-metro areas that are related to population density and metro influence. The Urban Influence Codes form a classification scheme that distinguishes metropolitan counties by population size of their metro area, and non-metropolitan counties by size of the largest city or town and proximity to metro and micropolitan areas. The standard Office of Management and Budget (OMB) metro and non-metro categories have been subdivided into two metro and 10 non-metro categories, resulting in a 12-part county classification. This scheme allows researchers to break county data into finer residential groups, beyond metro and non-metro, particularly for the analysis of trends in non-metro areas that are related to population density and metro influence.